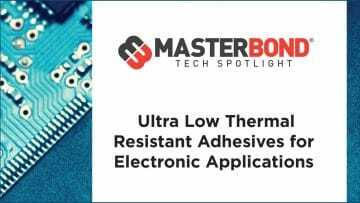 Laird Thermal Systems has introduced a series of thermoelectric assemblies (TEAs) designed for use in outdoor environments. The Outdoor Cooler Series are compact (cooling objects via convection) air-to-air TEAs said to provide a lower total cost of ownership by maintaining the appropriate temperature range using minimal energy due to its high coefficient of performance (COP). Cooling capacity ranges from 100 to 250 Watts. Heat is absorbed and dissipated through high density heat exchangers equipped with air-ducted shrouds and fans. The heat pumping action occurs from custom designed thermoelectric modules that minimize power consumption. According to Laird, the Outdoor Cooler TEAs’ rugged construction translates into less maintenance than standard compressor-based air conditioners. 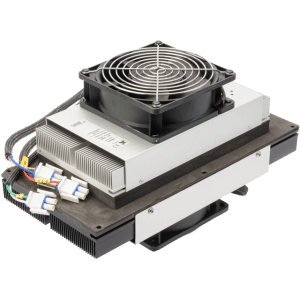 Designed for applications like outdoor kiosks, battery backup cabinets, enclosures, and electronic cabinets, the Outdoor Coolers run at nominal voltages at either 24 or 48 VDC and offer dependable cooling capacities ranging from 100 to 480 Watts. The AA-250 Outdoor Cooler Series can be mounted vertically or horizontally inside an enclosure to accommodate a partitioned shelf height. This allows for a specific section of the cabinet to be thermally insulated and protected against outside temperatures, while the balance of the cabinet can be cooled with an ambient heat exchanger. This can translate into significant energy cost savings. “The emergence of high-speed networks including 4G/5G and always-on broadband services has placed tremendous demands on current and future telecommunication and computing infrastructures. Greater functionality and higher speeds are contributing to increased thermal issues in networking and telecommunications infrastructure equipment. The Outdoor Cooler TEAs can easily be retrofitted as a substitute for compressor-based air conditioners to offer significant energy, maintenance and cost savings,” said Andrew Dereka, Product Director at Laird Thermal Systems. The Outdoor Cooler TEAs use impingement flow to transfer heat, which is absorbed and dissipated through custom designed heat exchangers with a high aspect ratio. The dual cold side air ducts can be oriented in any direction to accommodate obstructions and maximize circulation. Laird points out that this product series has been designed to pass the rigorous Telcordia test requirements conducted by its customers, such as earthquake resistance, salt fog, wind-driven rain, high temperature exposure and dust contaminants.